Lantau Island is Hong Kong’s largest outlying island. It has attractions ranging from a fishing village to the Po Lin Monastery and the Big Buddha, Tian Tan; something for everyone. 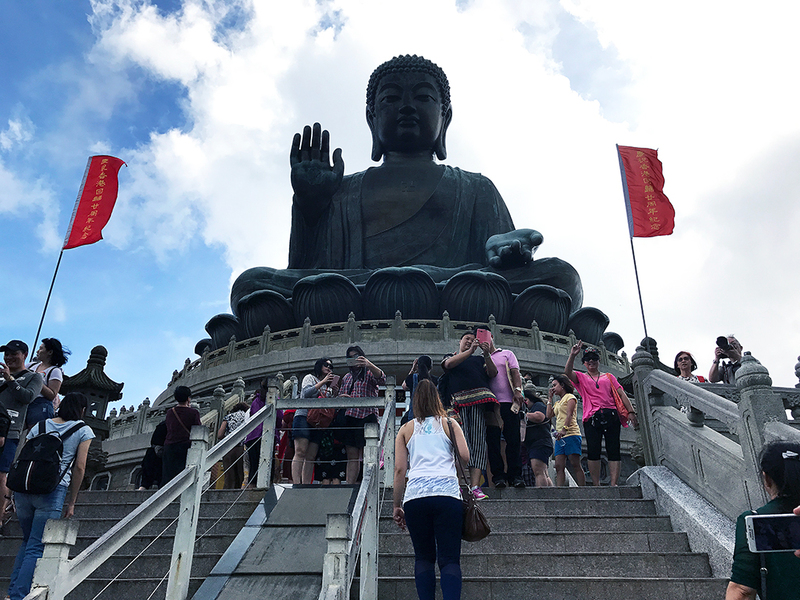 Tian Tan is one of the world’s largest sitting Buddhas, as well as one of Hong Kong’s most famous attractions. Despite coming from Hong Kong, I actually never had been there. This made it perfect for a day trip! The whole day trip will take around 5 to 7 hours. To get to Lantau Island, take the MTR to Tung Chung station via the Tung Chung line. 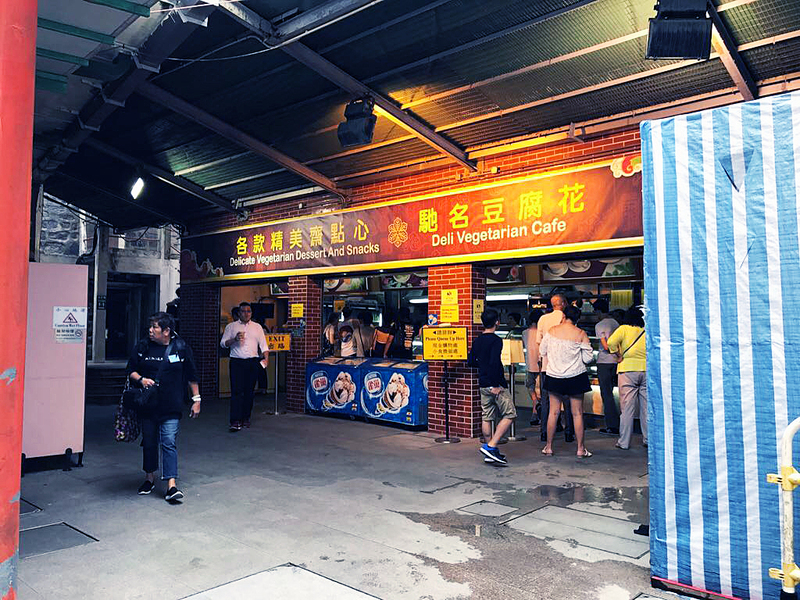 At any interchange or at Tung Chung, make sure you buy some snacks - there’ll be a fair bit of walking involved later on this day trip and buying it at one of Hong Kong’s largest tourist attractions is not a wise choice! At Tung Chung station, follow the signage to get to the Ngong Ping 360 cable car ticketing area. With regards to buying the ticket online and whether you should, I lean towards just buying the ticket on the day. On the day we went, the lines were not much longer than the prepaid line, and the ticket prices were cheaper when paid at the desk compared to online (international credit card fees). There are two types of cable cars: crystal and standard. Crystal cabins offer the chance to have a glass "crystal" flooring in the cable car. This can be an extremely thrilling experience and Daniel and I loved it! As to which queue is longer, it seemed that the one for crystal cabins was shorter and standard cabins was longer - this may be due to the higher ticket prices. However, bear in mind that there are multiple standard cable cars for every crystal one! Once you’ve bought the ticket, you can make your way to the actual cable car queues. Enjoy the views! 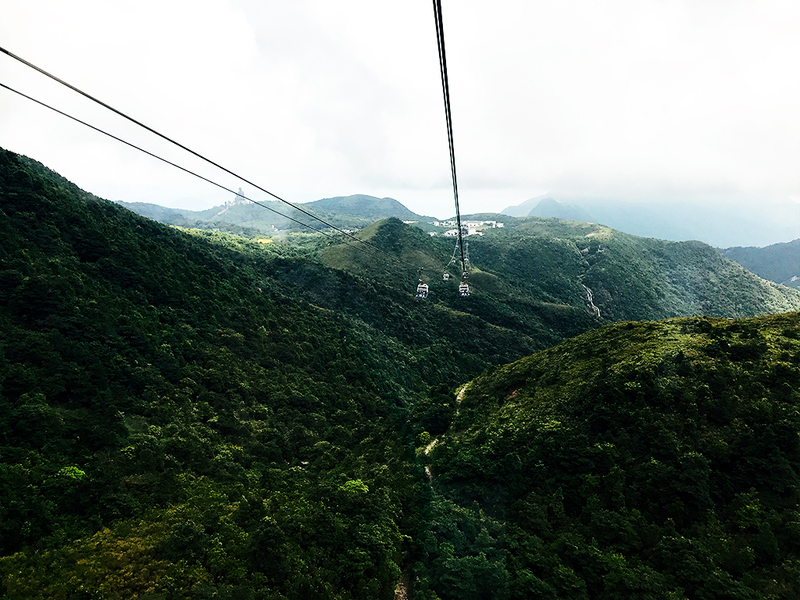 Once you step out of the cable car, you’ll arrive at Ngong Ping Village, a 1.5 square hectare themed village. Here there are souvenir shops, drinks and food (when I visited, there was an Indian restaurant, Starbucks, amongst other food choices). 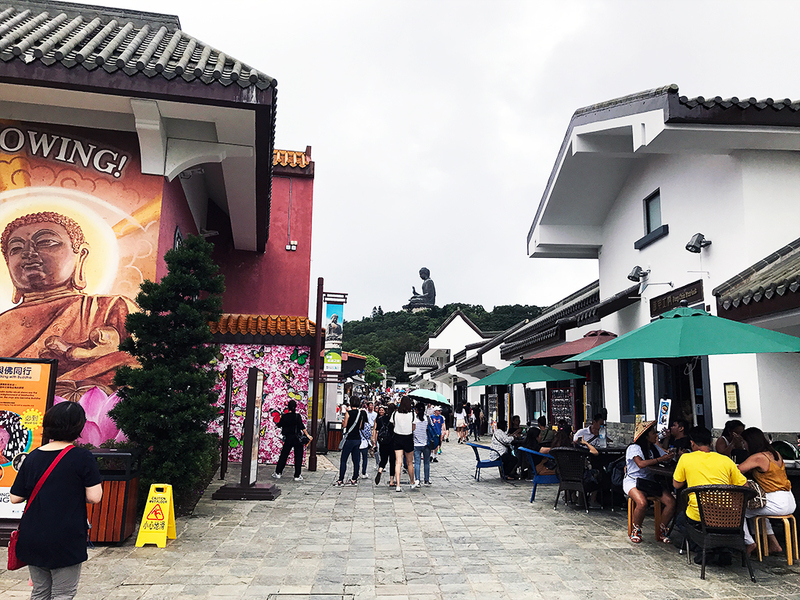 One good part about Ngong Ping Village is the walk towards Tian Tan, which is the Big Buddha. The views are stunning and make you feel very, very small. 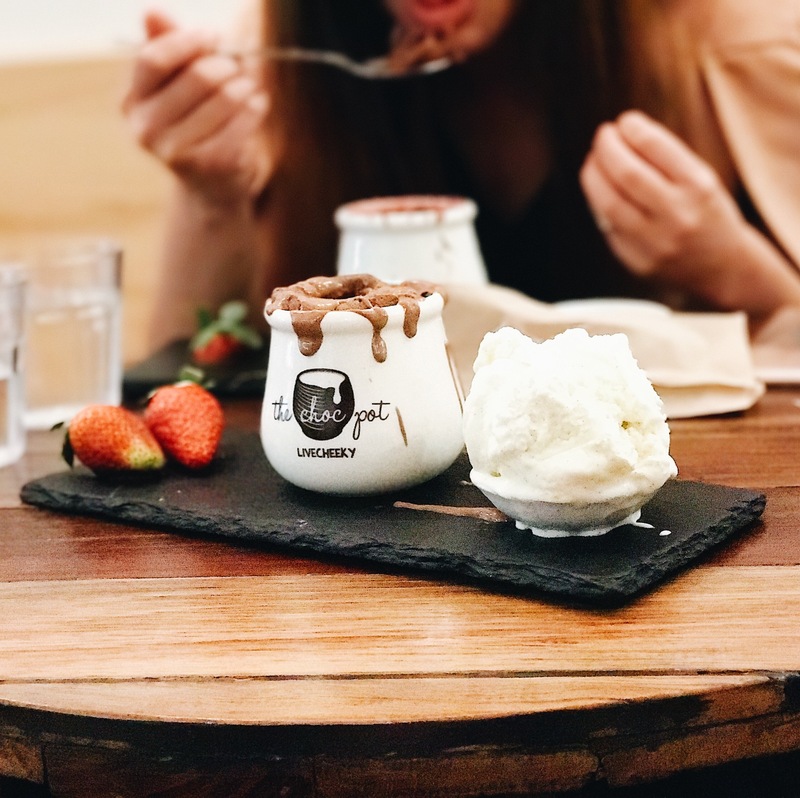 If you’re more interested in local foods, I recommend you skip all the tourist attractions in Ngong Ping Village and head off to the Po Lin Monastery for food. 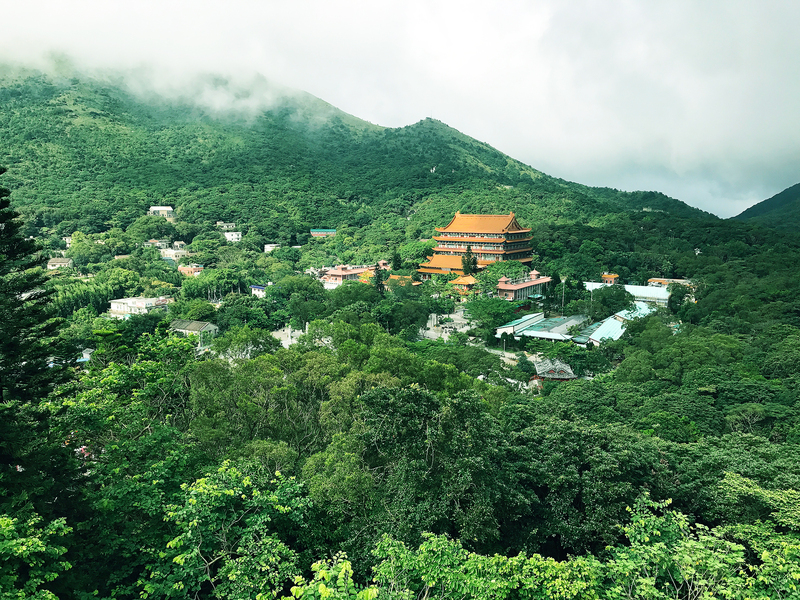 Po Lin Monastery is a short walk from Ngong Ping Village and is a Buddhist monastery. It was founded in 1906 by three monks from the Jiangsu Province of mainland China. The main temple has three bronze statues of Buddha (the past, present and future lives of Buddha). 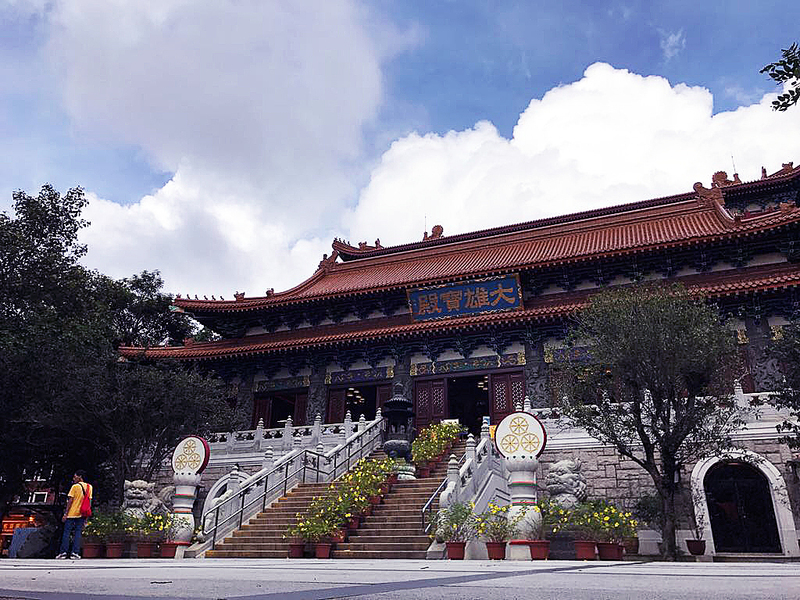 Po Lin Monastery and the Tian Tan Buddha are open to the general public from 10:00 am to 5:30 pm. 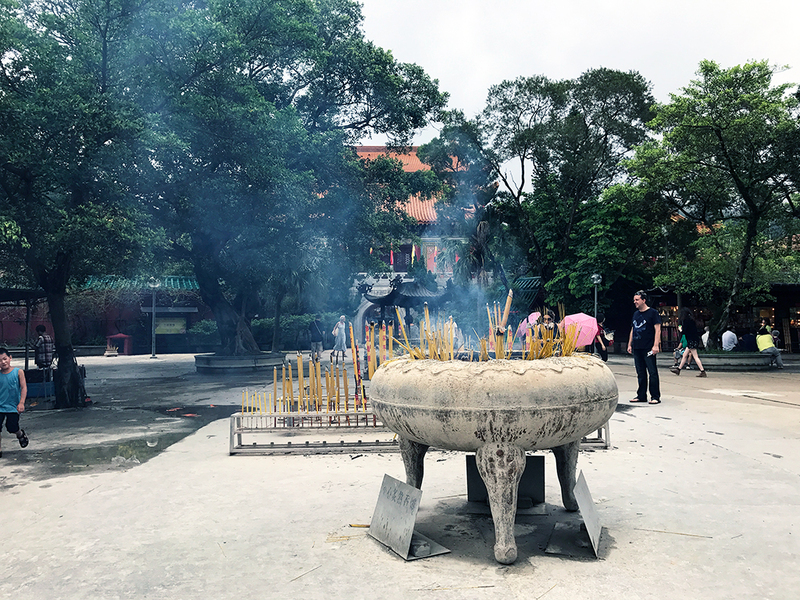 Access to Po Lin Monastery and the outside of the Buddha is for free, but there is an admission fee to go inside the Buddha statue. Take some time to explore the monastery, which also has a snacks bar and a restaurant. The restaurant has a la carte vegetarian dishes and is sit down dining. Prices can be upwards of $100 HKD. The vegetarian cafe, which is where we went, had street vegetarian food. 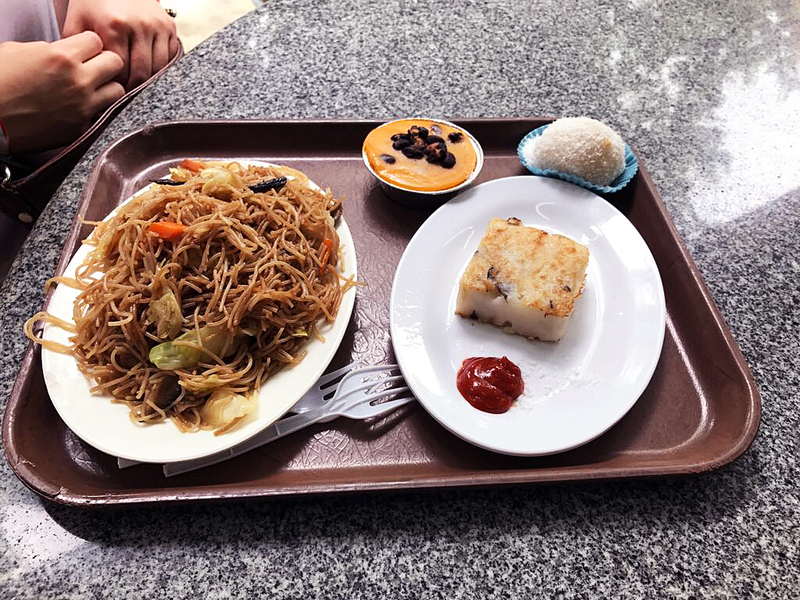 They serve dishes such as stir-fried noodles with black fungus, radish cakes and Hong Kong style vegetarian "lo mei". 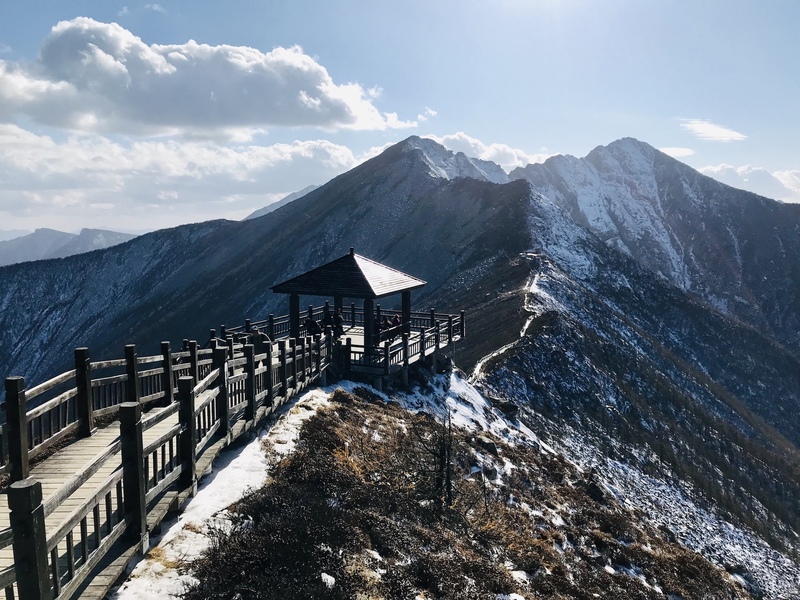 What is "lo mei"? It usually describes vegetarian "meats" which are usually made from soy, such as sweet and sour vegetarian pork and chicken! We had a feast for just under $50 HKD. A must try is the hot tofu pudding - I’ve never had a better tofu pudding in my life (and I’ve had buckets of that stuff). Next up is the attraction everyone comes for - the Big Buddha, Tian Tan. For those of you who have been to Beijing, you may notice that the Temple of Heaven is also called Tian Tan - and yes! Tian Tan Buddha was named that because its base is a model of the Temple of Heaven in Beijing. Surrounding the Buddha are six bronze statues, "The Offering of the Six Devas". 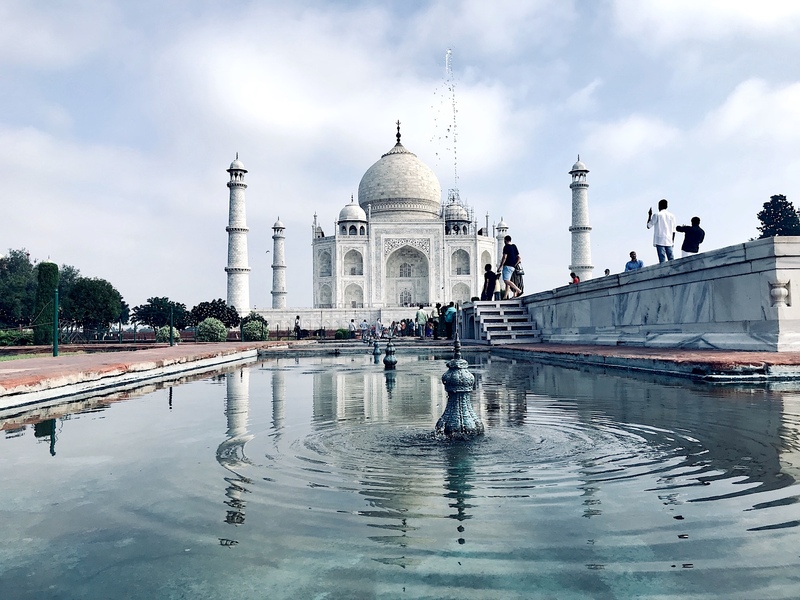 Each statue offers something to the Buddha: flowers, incense, lamp, ointment, fruit, and music - symbolizing generosity, morality, patience, zeal, meditation, and wisdom, which are all needed for enlightenment in Buddhism. 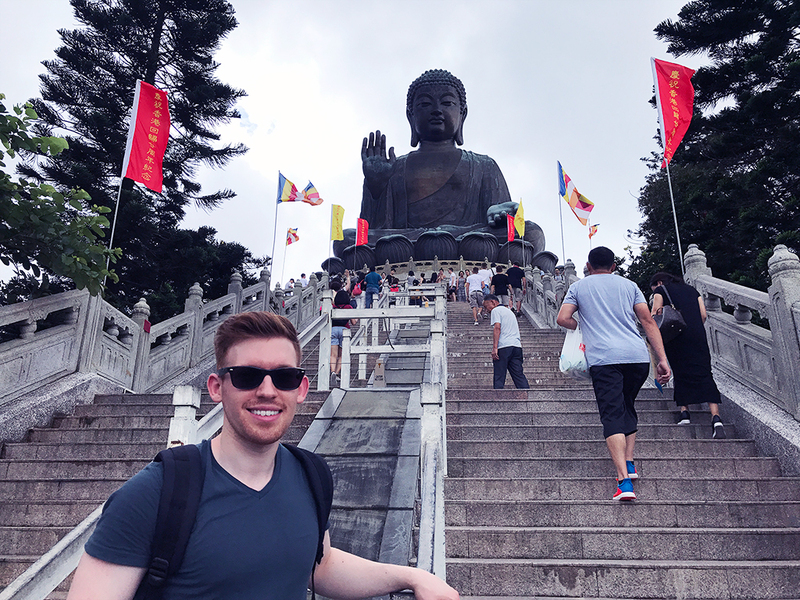 To get up close to Tian Tan Buddha, you’ll need to climb you 250 or so steps. 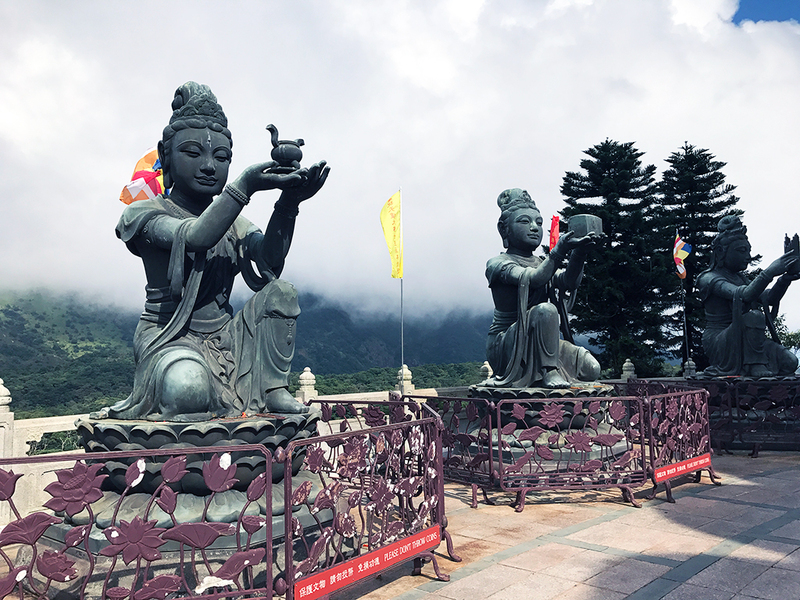 After exploring Po Lin Monastery and the surrounds, take the cable car back by heading back to Ngong Ping Village cable car station.